Opinions, etc all gratefully received… Incidentally it’s new years eve! whoohoo! 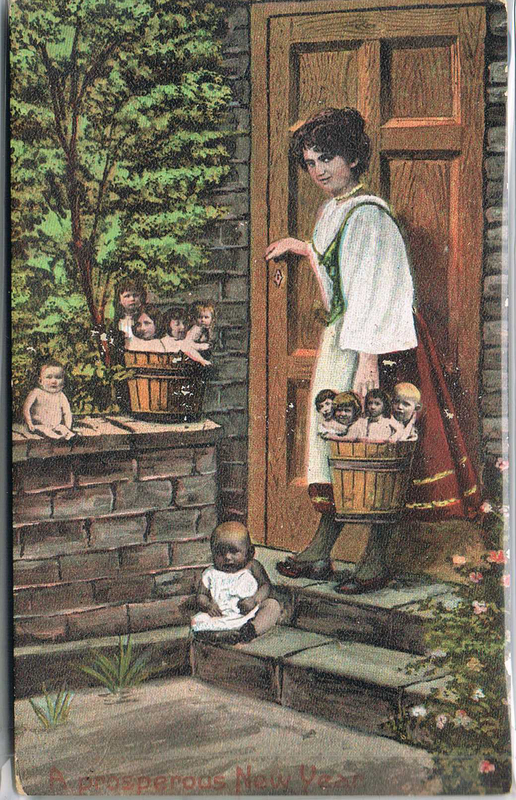 my gift to you all, a wonderfully creepy postcard showing a woman with buckets of babies….